I've been playing Minecraft lately (mainly PvP), and I'd like to be able to bind my attack key to more than one key. For example, I'd like to make the attack key (that's currently the default left click on the mouse) to right click, also. Is there any way to do that, or any mod that will allow me to do so? Thanks in advance for answering! Without getting into any mods, there is a creative way to do what I believe you're asking. Unfortunately Minecraft doesn't allow two key binds, but if you would like to attack twice as fast and with two different buttons, this is possible. Have two different mice. Like so: Minecraft reads that you are hitting button 1 (attack button) twice even if it is from a different source. You will want to tape them together so that the movement is the same and your character isn't trying to turn two different ways! 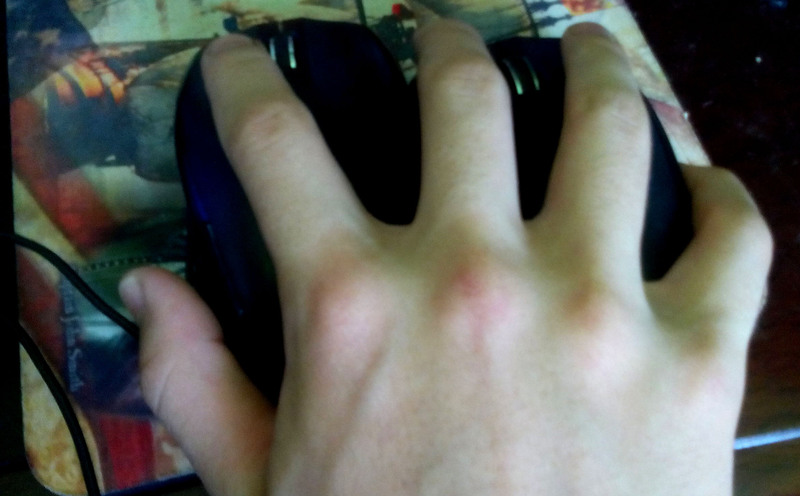 This is easier if you have smaller mice, mine are rather large and are barely able to fit under my hand. For example, I'd like to make the attack key (that's currently the default left click on the mouse) to right click, also. You could go to Options and change the control keys. For example, you could make the 1 and 2 keys both an attack key. download KeyBindingsOverhaul. It wil fix you problem. How do I create multiple worlds? Any way to make a note block keep its note? Why aren't my texture packs and mods working?